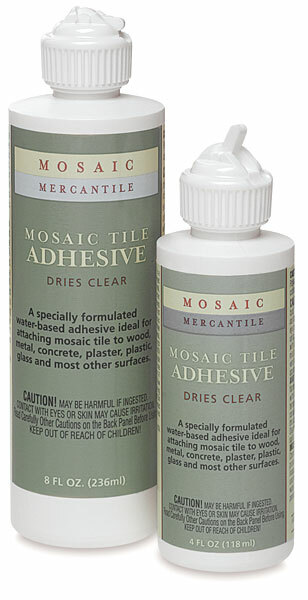 This specially formulated water-based adhesive is ideal for attaching glass and ceramic mosaic tiles to wood, metal, plastic, glass, masonry, and most other surfaces. Dries clear. 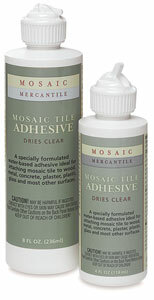 ® Diamond Tech is a registered trademark.® Mosaic Mercantile is a registered trademark. You'll be amazed by how easy it is to create beautiful mosaic pieces for your home or garden. This video will show you the simple step-by-step process for completing a mosaic vase, though this process can be applied to any number of surfaces.